For more than 500 years the people of Lausitz cultivate the art of glass making and refining. A certificate from 1433 is the first record of a glass blowing hut in Lausitz which produced a greenish or brownish »wood glass«. In the Lausitz region there is an abundance of wood, quartz sand, limestone, and clay – ideal conditions for the production of the »bright gold«. Soon after, smoke billows from the furnaces of many more glass blowing huts in the forests of the region. And the products and techniques evolve as well. In Weißwasser in particular many glass blowing huts are established. 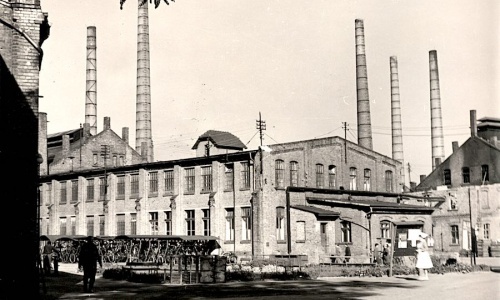 At the beginning of the 20th century, Lausitz is the conurbation for the production of hollow glass. As part of this, the know-how concerning glass production is also centered here. History should not burden the memory, but rather enlighten the mind. During 2010 Stölzle Lausitz launches a fourth production line. The new construction of the 28-tons-glass furnace and of the fourth production line were supported with money of the European Regional Development Fund. 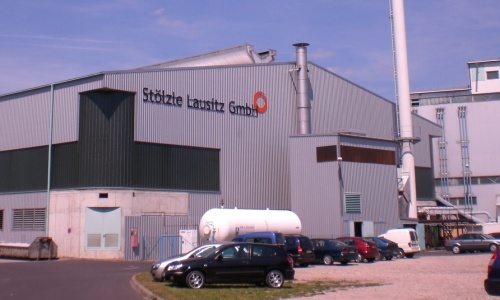 In summer 2005 the company changed its name from Stölzle-Oberglas Lausitz GmbH into Stölzle Lausitz GmbH. In that course there was a legal dissociation from the Stölzle-Oberglas AG. Stölzle Lausitz works independent as from now and only reports directly to the CAG-Holding GmbH. 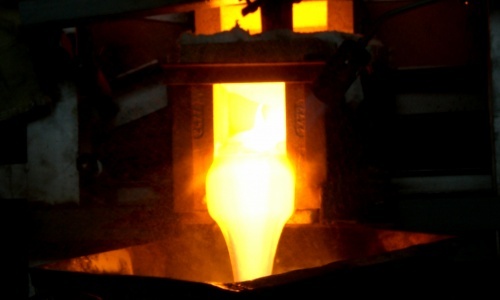 Stölzle Oberglas AG in 1996 takes over the glassworks with its long tradition. The parent company is the CAG Holding GmbH - a group of companies of Dr. Cornelius Grupp. The concern invest in Weisswasser continuously. It follows the construction & reconstruction of the production hall, of the three production lines and the two furnaces for the production of machine-made and lead-free drinking-glasses. After the German reunification the Lausitzer Glaswerke were privatized in 1992..
Until the German reunification the Lausitzer Glaswerke was the largest glasswork in former GDR and the employer for up to 4,000 people. The glassworks were the one of the largest employer of the region. Due to further technical enhancements the company is able to produce machine-made goblets. Remaining competitive the automatic production of tumblers started in year 1960. 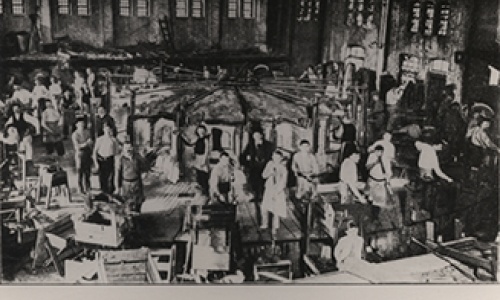 After the 2nd World War the glassworks were dispossessed after a plebiscite. The business continues under the name VEB Oberlausitzer Glaswerke Weisswasser. Product development regarding design and quality is decisively influenced by Bauhaus-pioneer Prof. Wilhelm Wagenfeld. 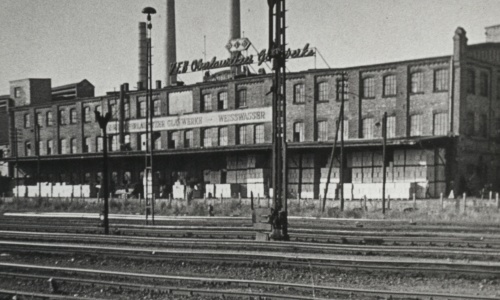 The Vereinigten Lausitzer Glaswerke were the center of the German glass industry. After several corporation names the company is called now Vereinigte Lausitzer Glaswerke AG. Until the first World War the Lausitzer Glaswerke were the biggest stemware producers in Germany. The company peviously produced technical products like glass tubes and light bulbs. To increase the growth the owners decided in 1908 to manufacture drinking glasses. 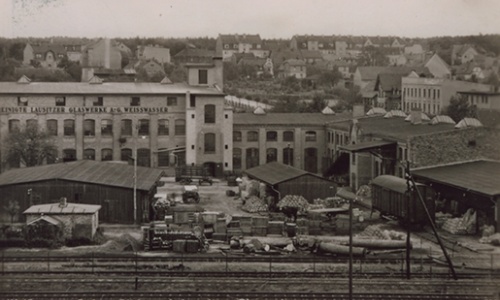 In the winter of 1889 the »Oberlausitzer Glaswerke J. Schweig and Co.« begin its operations. The glass blowing hut is situated in the same spot where Stölzle Lausitz produces glasses to this day.